As with all other aspects of parenting, deciding when to move your child up into a big bed is no easy choice. It depends on so many factors - how safe they feel in the cot, how much they move, and how big they are getting. That said, every family has different structures and different needs. Even then, it can be difficult to know where to start and what to look out for when choosing a toddler bed. If you’re planning ahead or just curious, here’s a quick guide to making the transition from cot to bed. Supernanny UK’s parenting experts advise that the normal age range for moving up to a bed is anywhere between 11/2 years to 31/2 years. This is hugely dependent simply on your child’s physical and emotional development - a toddler who is getting too big for their cot should definitely have an upgrade to a toddler bed. Likewise, any tykes who make persistent escape attempts from their cots should be moved into a bed where they have some more wiggle room. A contested topic among parents is whether to skip the toddler bed altogether and move a toddler from a crib straight to a twin bed, and there are advantages and disadvantages of each. Purchasing a twin bed (or a single in the UK) is one big investment done and dusted to last until your child moves out. 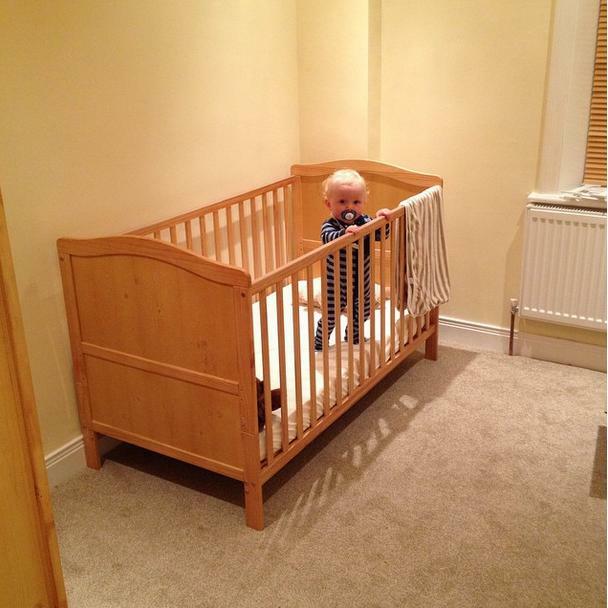 However, toddler beds are designed with active small sleepers in mind, and so are built to be close to the floor to minimise accidents if anyone falls, and also feature adjustable or partial rails on the sides like a cot, so children learn to stay in the confines of their bed. If you do choose to buy a toddler bed between cradle and big bed, there are a range of safety and comfort features to look out for. Durable, approved materials like good timber are an absolute must for a child’s bed, able to withstand the weight not only of a sleeping child but an adult reading a bedtime story too! A toddler bed which can be extended to a single bed that grows along with your child, and you may be able to convert it to a bunk or midsleeper later on. Finally, to minimise damage to a growing spine, be sure to invest in a good quality mattress not unlike a standard bed mattress - it may be helpful to go to a store with your child to have a lie down and test some.